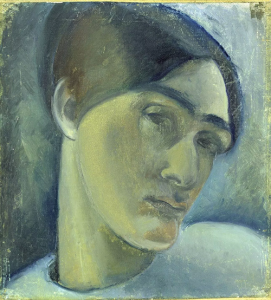 Anita Rée ( 1885 – 1933) was a German avant-garde painter who founded an association of women artists in 1926. The Nazis designated her work as “Degenerate Art” and purged it from museum collections. Subjected to hostility, she committed suicide. A groundskeeper at the Kunsthalle Hamburg preserved many of her paintings by hiding them in his apartment. 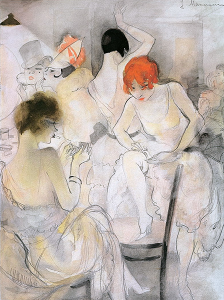 Jeanne Mammen (1890 – 1976) was associated with movements of New Objectivity and Symbolism. One of her important works is a series of lithographs illustrating a collection of lesbian love poems by Pierre Louÿs. Until the Nazis denounced her motifs as Jewish, she supported herself as a commercial artist doing illustrations and caricatures for journals. She survived the Hitler regime by practicing “inner emigration”. Elfriede Lohse Wächtler (1899- 1940) was noted for her paintings of psychiatric patients, as shown here. 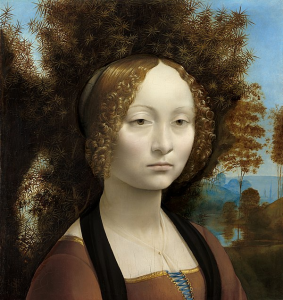 But many of these paintings were confiscated and destroyed by the Nazis. In addition to pitiless self-portraits, she also painted scenes from the Hamburg harbor with its workers and prostitutes. After undergoing a forced surgical sterilization in 1935, she stopped painting and was murdered in 1940 under the Nazi “euthanasia” program. Gabriele Münter (1877- 1962), an avant-garde painter, co-founded the Blaue Reiter (the Blue Rider). Kandinski, another co-founder of this art movement, adopted her use of saturated colors and abstract expressionist style. 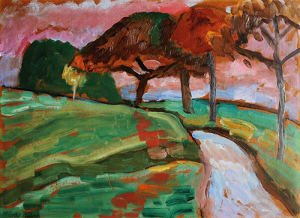 During the Nazi era, she hid all of her own artwork and that of other members of the Blaue Reiter in her home, where, in spite of several searches, it was never found. In 1957, she donated all of this art work to the City of München, Germany. Marianne von Werefkin (1860 – 1938), another co-founder of the Blaue Reiter escaped persecution having emigrated to Switzerland where she painted, in addition to self-portraits, many colorful, landscapes in an expressionist style. 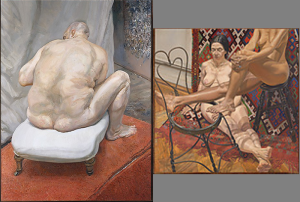 Nowadays in Europe , the work of these women artists is being celebrated in large exhibitions. 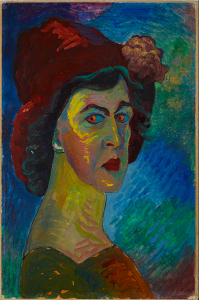 In Germany, a prestigious art prize is the ‘Gabriele Münter Preis’.